What is the Skyla IUD? Skyla IUD is a type of intrauterine device, also known as an IUD. But what is that, exactly? An IUD is a small, t-shaped device that’s placed in your uterus by your healthcare provider during a routine visit. Getting an IUD is nonsurgical and typically takes just a few minutes. Once in place, it provides continuous, highly effective birth control. Skyla is an IUD that releases a low dose of hormones and is over 99% effective at preventing pregnancy for up to 3 years. Skyla releases a progestin hormone locally into your uterus at a slow and continuous rate. It is estrogen-free and works continuously for up to 3 years. Skyla may work in several ways including thickening cervical mucus, inhibiting sperm movement, reducing sperm survival, and thinning the lining of your uterus. It is not known exactly how these actions work together to prevent pregnancy. How effective is the Skyla IUD? Skyla is one of the most effective birth control options. It’s over 99% effective and works continuously for up to 3 years. 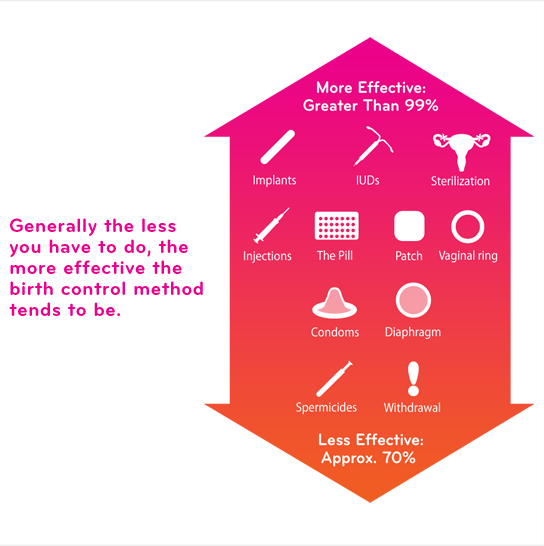 Generally the less you have to do, the more effective the birth control method tends to be. How much does Skyla cost? For most women, with commercial insurance a Skyla IUD is free, with no out of pocket costs. Which is fantastic as you will have three years worth of birth control without ever having to remember to take a pill or go to a pharmacy. If your insurance plan does not cover birth control or you do not have health insurance you still have options. We have an entire page dedication to the cost of an IUD device without health insurance. Are there other types of IUD devices other than Skyla? Skyla is a fantastic IUD device. However, there are several options to choose from. Each one is slightly different offering the ability to customize your choice to what works best for you. 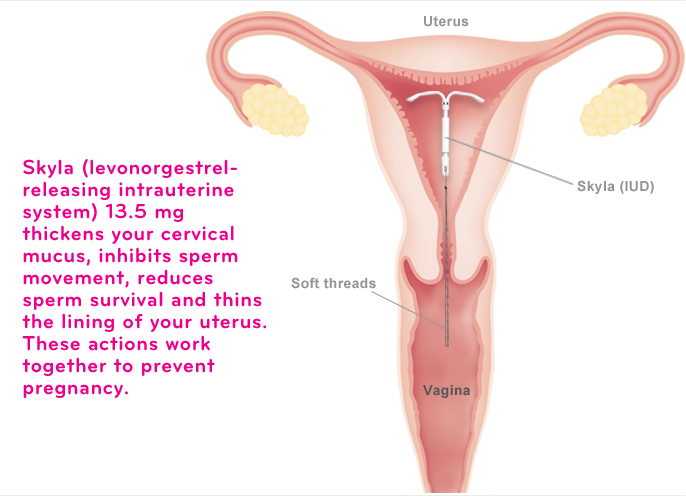 We have an entire page setup explaining the difference between the different IUD devices. Skyla® (levonorgestrel-releasing intrauterine system) is a hormone-releasing IUD that prevents pregnancy for up to 3 years. If you have a pelvic infection, get infections easily, or have certain cancers, don’t use Skyla. Less than 1% of users get a serious pelvic infection called pelvic inflammatory disease (PID). If you have persistent pelvic or stomach pain or if Skyla comes out, tell your healthcare provider (HCP). If Skyla comes out, use back-up birth control. Skyla may attach to or go through the uterus and cause other problems. Pregnancy while using Skyla is uncommon but can be life threatening and may result in loss of pregnancy or fertility. Skyla does not protect against HIV or STDs. Only you and your HCP can decide if Skyla is right for you. Skyla is available by prescription only. For important risk and use information about Skyla, please see the Full Prescribing Information.